New York Magazine's online column The Cut recently features Filipino international model Paolo Roldan (Boss Models NY). 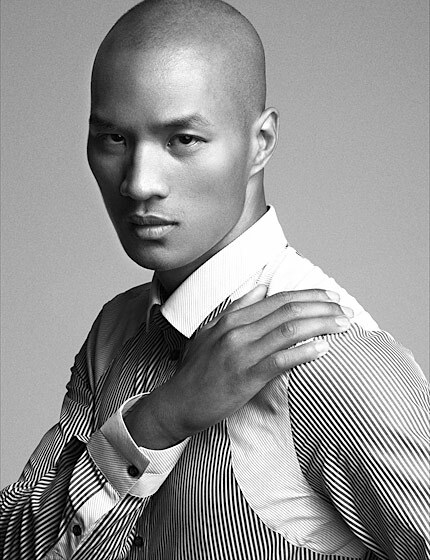 Philippines-born, Toronto-raised Paolo Roldan is a testament to Riccardo Tisci's power in this industry. On Roldan's last day of fall 2010 castings, the 25-year-old was sent on a last-minute go-see with Tisci, where the two made an instant connection. A month later, Roldan debuted exclusively, closing Givenchy's fall 2010 collection. Tisci then cast the charismatic hunk as the ideal Givenchy man for a spread in Arena Homme +, on top of starring in the label's fall campaign alongside Mariacarla Boscono and Malgosia Bela. Most famously, Mert Alas and Marcus Piggott shot Roldan in the flesh for French Vogue (which you can see in the NSFW slideshow). But he's now catching on with other designers too. Phillip Lim recently courted Roldan to close out his spring 2011 show. Reminder: This all happened in the span of just one year.